The main factor a person should realize when setting out to publish a book is that the book represents the author and what is produced is a sheer reflection on that individual’s ability to write. I do not imagine that anyone wants anything less than quality work with their name attached to it for the world to see. It is one thing to have a story in mind and to jot it down or type it, but there is a compilation of specialized skills that is involved in professional book writing. Writing, like editing, requires focus, concentration, an outline to work from – whether it is on paper or held in thought. Different types of books require little or no imagination or indeed a lot. However, every book requires some degree of creativity if it is to captivate the person who decides to pick it up and read it. Whether it is a Fiction, Non-fiction, How-to, Biography, Historical or Poetry book, if it is to sell, it must be one that grasps the reader’s attention – even while on the bookshelf. The synopsis/overview on the back cover should be the second seller – the title and design on the front cover the first and the inside text should be the feature that has that person telling everyone about how great your book is. Word of mouth is powerful and is one of the greatest marketing tools out there. So, in essence, in order to achieve the type of response you hope for in terms of sales, every aspect of your book should be appealing. All bases must be covered and always remember that what you put out there is a sheer reflection on your ability to write. Manuscript editing is a very tedious, detailed process. It is the very next step after a manuscript has been written. There is something in the editing world referred to as: near letter perfect. This means that an edited project should have minimal to no errors in grammar, punctuation, spelling and sentence structure. Sentence structure is very important because a paragraph and sets of paragraphs should ‘flow’ and not be ‘mumbo-jumbo’. This type of work requires the skills of an individual who somewhat masters this field and has a natural knack for words and phrases. The average reader, whether or not well-versed in English, might notice certain errors such as words and phrases used out of context if they occur. Ultimately, the quality of the work is judged. Before placing a treasured book of yours on the market, it is a must that it be properly edited first. Editing does not simply entail reviewing and correcting the manuscript during a first reading only. It means reviewing and reviewing, reading and re-reading (which can sometimes be a minimum of 3 or 4 times over) until the piece is near letter perfect. This takes hours of focus and concentration, but is essential if you want to produce quality work. Every book – including the most well-written and thought out stories – will have bad, unfair, and sometimes even “nasty” reviews posted under it. The author cannot control that. People leave bad reviews for a number of reasons. Sometimes, they just didn’t like the story or the author. For others, grammatical errors (if any) took away from the smooth flow of the text; and for others (believe it or not) – they simply complain about everything even when there’s nothing to complain about. There are even some authors out there who are just plain nasty to fellow authors because they cannot stand to see someone else getting ahead. Your job, as a writer, is to ensure that you produce good, quality work to the best of your ability. Be open to constructive criticism when it is presented in a decent way, but don’t focus on those persons who simply take pleasure in knocking your hard work down and being outright cruel. Good reviews will always overshadow the bad. Hard work eventually pays off. Take the time to hone your craft, give it your best, and sooner or later, you’re bound to reap a harvest of success. I have integrated the “discipline” of fasting into my life for many years now and believe wholeheartedly in its power to produce incredible results. When we fast for spiritual reasons, we are humbling ourselves before God and demonstrating that we recognize we are nothing without Him and can do nothing without Him. We are displaying our dependence upon Him in every way and amid the situations we face. 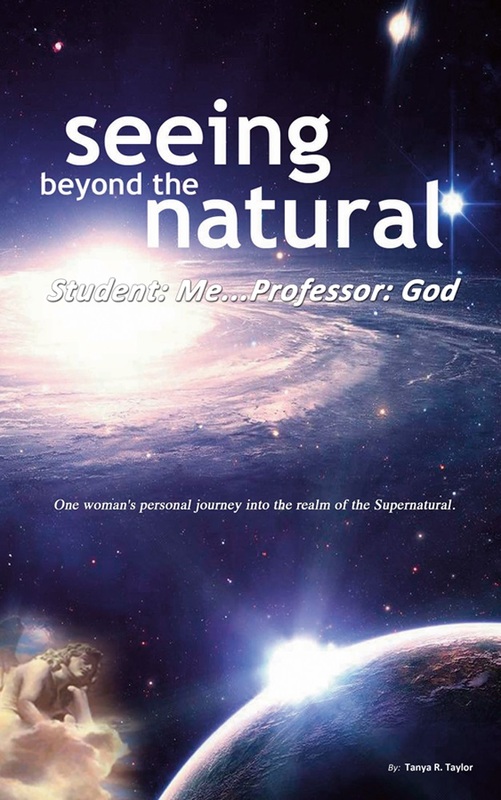 Chapter 21 of my book: Seeing Beyond the Natural, Student: Me … Professor: Godgives much insight into this discipline and how it can greatly benefit every believer. What are you going to give Jesus this Christmas? Real Illusions First Amazon Review…. I don’t know your name, but you killed my father on June 9, 1973, in Stockton, California. My father was thirty-two years old then; I was ten. If he had lived, he would have been 74 on November 29th.